Word Slingers is a free online publication for a new generation of young Baptist Messenger readers. Launched in January of 2013 this site has thousands of views per month. For selective advertisers we offer several options. 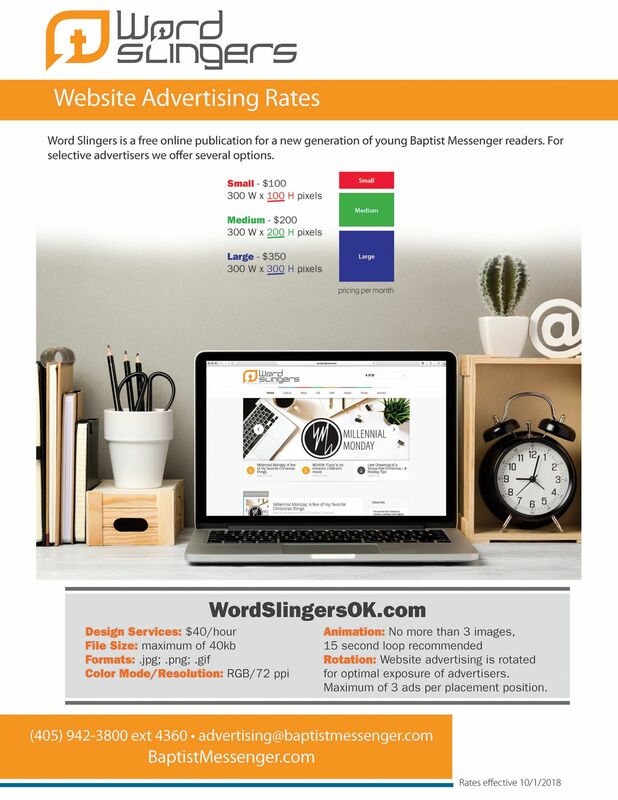 For more information or to inquire about advertising on Word Slingers please contact Karen Kinnaird at kkinnaird@bgco.org or 405-942-3000 x4360.